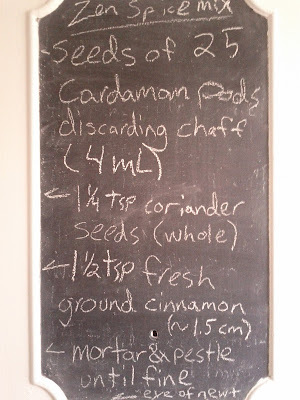 Attempting to balance out the cardamom as described yesterday, I modified the spice mix recipe to have more cinnamon and coriander. I may have overcompensated. The espresso tasted heavily of cinnamon that left a bit too much of a bitter aftertaste for either of our liking. Brian suggested that it might be better with milk because a lot of customers sprinkle cinnamon on their cappuccinos and lattes. So, I punched up the strength of the infusion with approximately double the regular espresso amount and Brian mixed us up a couple macchiatos. Delicious! The spices came through the milk cloud for a really balanced and flavourful drink. 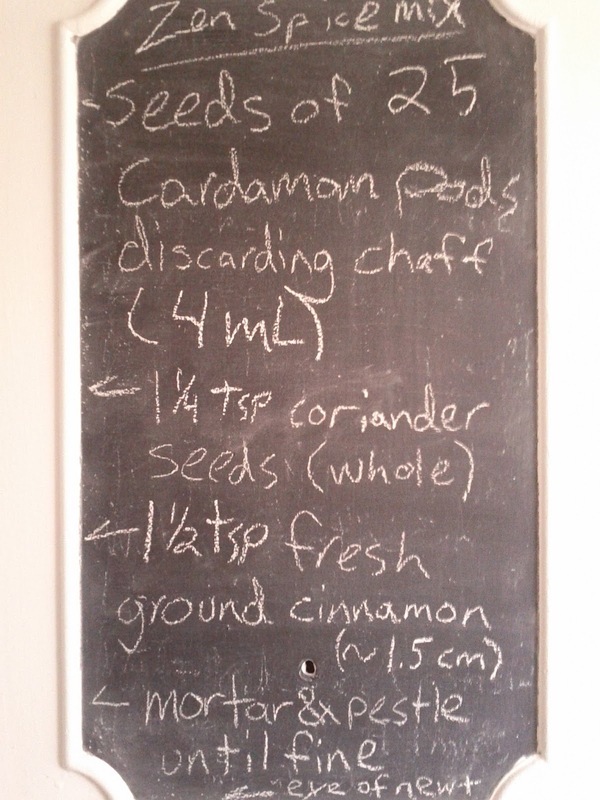 Cinnamon really does taste great in a milky coffee, which tends to mute most of the more interesting coffee notes. The spices replaced them with something worth tasting besides milk. I wouldn't use this spice mix for espresso again, but I think it is a keeper for a macchiato.